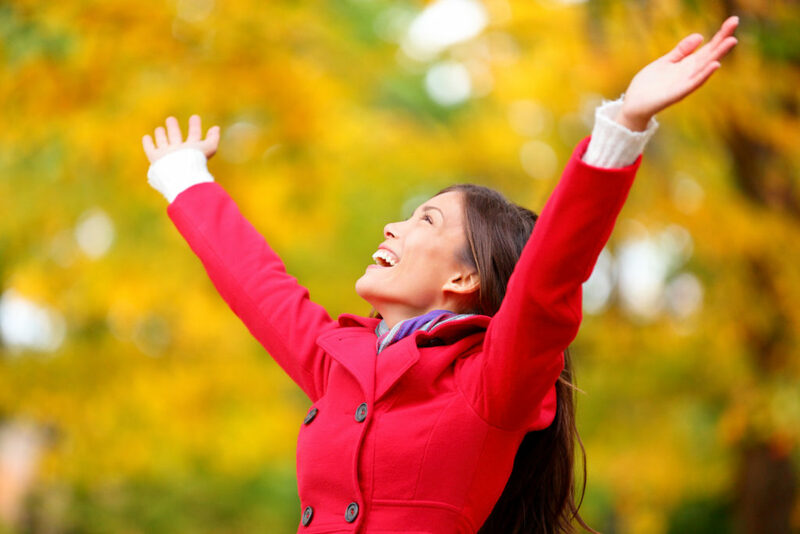 What does it really mean to be thankful? We talk about it a lot during this season, and we even make lists of the things we are thankful for. We know the Bible repeatedly commands us to be thankful. But why? And do we really consider what we are thankful for on a deeper level? On a level that changes our attitudes and thoughts and motives? 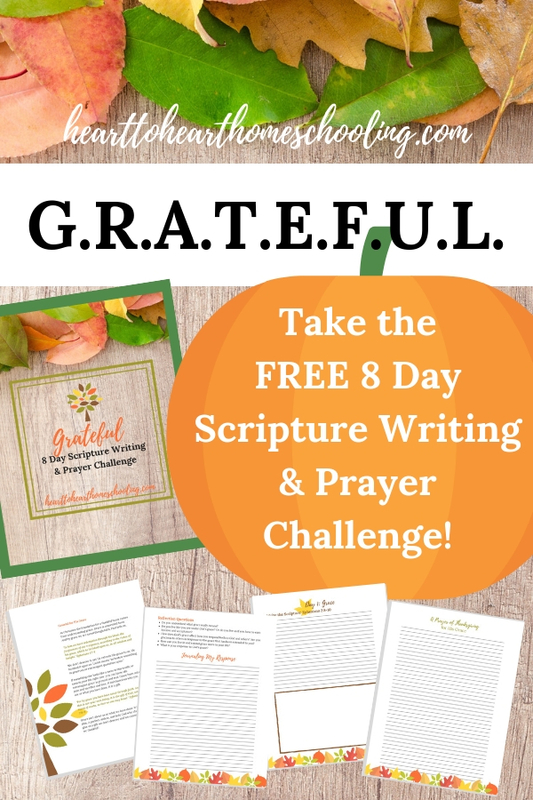 Do we give thanks with a grateful heart? I have to admit, so many times for me the answer is no. Not the kind of heart changing gratefulness that opens my eyes to the blessings of God. The kind that leads me to fall on my knees in worship of Him. To gaze upon His beauty—the one thing David desired. Do I truly recognize and internalize His incredible goodness, and grace, and mercy? Maybe it is all the negativity around us in this world right now. So much anger and yelling, so little listening. The constant scenes of violence and hate. And yet the Word has not changed. God has not changed. He is with us. 1. Gratitude is His will. So often we act as if God’s will for us is something mysterious. But so much of what He desires for us is written clearly in His Word. If you are seeking God’s will for your life, start with His revealed will, then act in obedience—even if you don’t feel like it. The practice of thanksgiving changes our hearts, minds, and attitudes. Rejoice always, pray without ceasing, give thanks in all circumstances; for this is the will of God in Christ Jesus for you. 1 Thessalonians 5:16–18, emphasis added. 2. Gratitude helps guard our hearts. Will guard: Paul’s choice of a military term implies that the mind is in a battle zone and needs to be ‘protected by a military guard.’ Since the purpose of such a guard in wartime situation is either to prevent a hostile invasion or to keep the inhabitant of a besieged city from escaping, the peace of God operates in the same way: to protect the mind from external corrupting influences and to keep the mind focused on God’s truth. Prayer and thanksgiving. The two go hand-in-hand, connected in a way that changes us. Giving thanks as we pray protects us from the lies of Satan and the subtle distractions of life. We experience the peace of God guarding our hearts and minds during the times we are most vulnerable to Satan’s attacks. 3. Gratitude takes the focus off of us. He goes on not only to say thanks to God for what he has seen in their lives, but he continues to pray for their deepest needs. And ultimately thanksgiving is one way we love God with our hearts, souls, and minds. Thanksgiving puts the focus on Him and leads us to trust Him more fully. Let’s put our focus on spiritual realities as well—on the things that compel us to bow before Him, that make us bend our knees and offer praise to God. Join me as we bow our hearts and minds. Let’s go before him giving thanks with a grateful heart. LOVE THIS! God has always dealt with me on being grateful. Genuinely grateful regardless of the circumstances. We live in a fallen world full of sin and brokeness. Yet God weaves a beautiful story in the midst of the pain. He is with us, He grieves with us, and He comforts us. And somehow, even when we don’t see it, He is working it together for our good—the good that makes us more like Christ. this is it! the relationship. Not the God will you give me but God will you be with me! Developing an attitude of gratitude in whatever circumstances is good. No matter how much we may feel things are not right, God always knows what we do not know. He has done something that I have not seen yet, and I may not see. I will always thank him even when tears are rolling down my eyes. I love that—thankful with tears rolling down your eyes.